Hi! 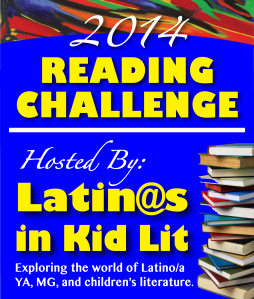 When you complete a book for the Latin@s in Kid Lit Challenge, please DM the link to us on Twitter @LatinosInKidLit, send it through our “Write to Us” page at http://www.latinosinkidlit.com, or email it to me at cindyrodriguez71@gmail.com. Thanks! Sure thing. I thought I sent it to your Latinosinkidlit gmail, but maybe I didn’t get the address right.